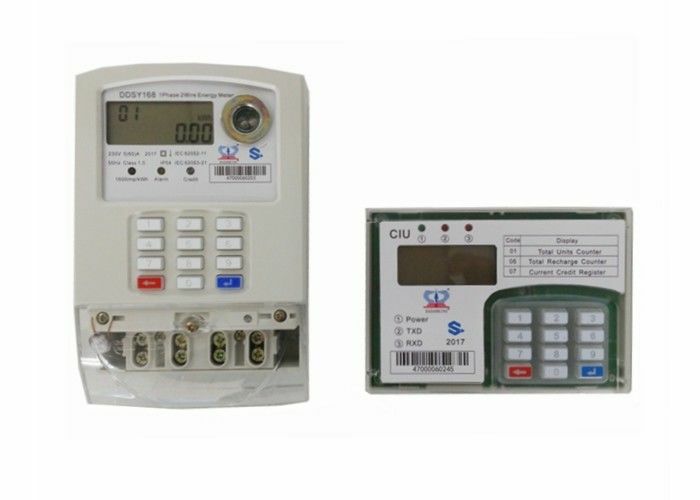 Three-phase Electricity Meter is a new type of electricity meter having the prepayment function. The user can purchases energy from the vending network by getting the serial number (named as "TOKEN"), which could be entered via keyboard to load the pre-purchased energy. The TOKEN contains 20 digits which are encrypted. Because the activity of recharging is realized by code inputting via keyboard, this meter is named as "Keyboard Meter". This meter is equipped with infrared communication port, metering sensors, control relay, real time clock units, and other auxiliaries. The data transmissions protocol of DTSY01AEP complies with IEC62055-41 and IEC62056-21. All the specifications and performance index comply with IEC62053-21 regulations to Class 1.0 Static Meters for Active Energy. * Active energy measurement; Adopt 20- digit token as data transmission media, you can purchase energy before consumption. * Accumulate the total energy with unit of 0.01 kWh. * Display the real-time current and voltage. * LCD display with backlight. * Low energy alarm to remind you to purchase energy. * Relay control circuits; Infrared communication for data transmission and parameter settings. 1.Easy connection to User Interface Unit( UIU) for split type connection. 2.PLC/RF/GPRS communication with head-end AMR/AMI server. 3.Time of Use(TOU)/4 tariff/8 time division/100 holidays. 4.Advanced load control, and disconnection features. RADARKING, one of leading manufacturer of Energy Meters such as Electric Meter, Smart Energy Meter, Water Meter and Gas Meter. We have a high efficiency, innovative, serious management team, and the factory has already passed ISO9001-2008 and ISO 14001:2004 QMS. We have our own brand "RADARKING", also welcome to OEM/ODM.